Fast delivery, size is big enough for A4 size file. rate: 75Light weight smart casual bag with room. Overall Rating : 7.5/10 Size : 9/10 (you can adjust by the side buttons. Able to fit A4 sized documents) Bag Details : 6.5/10 - Pretty simple inner layer. No additional compartments for loose items. - Zip portion can be improved. Don't really like how it was "halfway done" (See 2nd picture) - Material of bag is soft and lightweight. However it tends to crease pretty easily, an inner bag organiser might help to keep it in shape. Customer service : 10/10 - Prompt delivery and seller was nice to change my order from black to tan brown. Overall, if you like a bag that is smart casual, this bag is pretty good. KPOP! Korea Hit Womens backpack. Casual backpack. Student bag. Women bags. 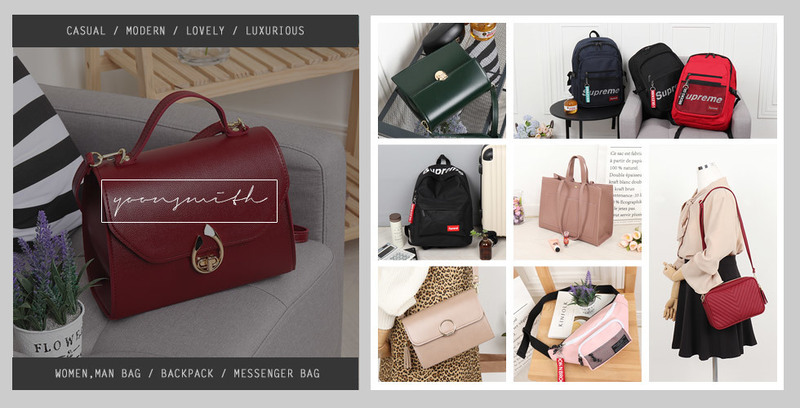 [Made in Korea] *FREE GIFT* 2018 New museum bostonbag. Luggage. Crossbag. Tour. Trip. Travel. [Free Shipping]KPOP! Korea Hit Womens lux crossbag. Casual totebag. Shoulder bag. Women bags.